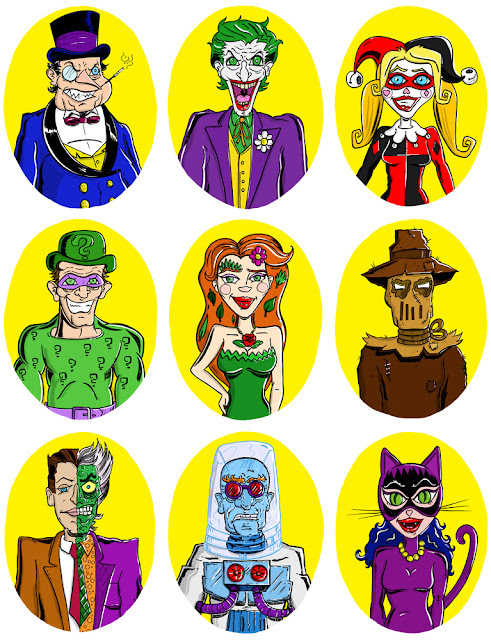 I've always thought Batman has the best rogues gallery of villains of any superhero and I recently decided to draw some of my favourites; The Penguin, Catwoman, The Joker, Harley Quinn, Two-Face, The Riddler, Poison Ivy, The Scarecrow and Mr. Freeze. I went with a bit of a retro vibe surprise, surprise and I was really happy with outcome. I printed out a few and folded them down into a mini zine called Bat Baddies which I had for sale at the MCA Zine Fair. 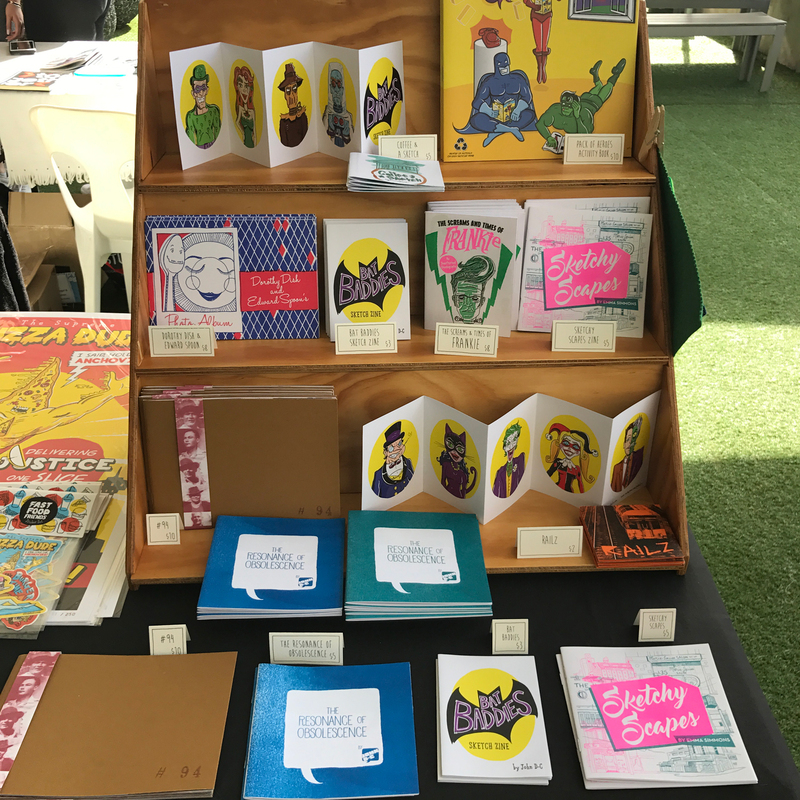 Here is a photo of my stall at the MCA Zine Fair, It was such a lovely day and a real pleasure to meet so many like minded people! Huge thanks to everybody who stopped by to say hi!